Talent will be judged by 4 judges and the audience. Winners get Cash prizes. 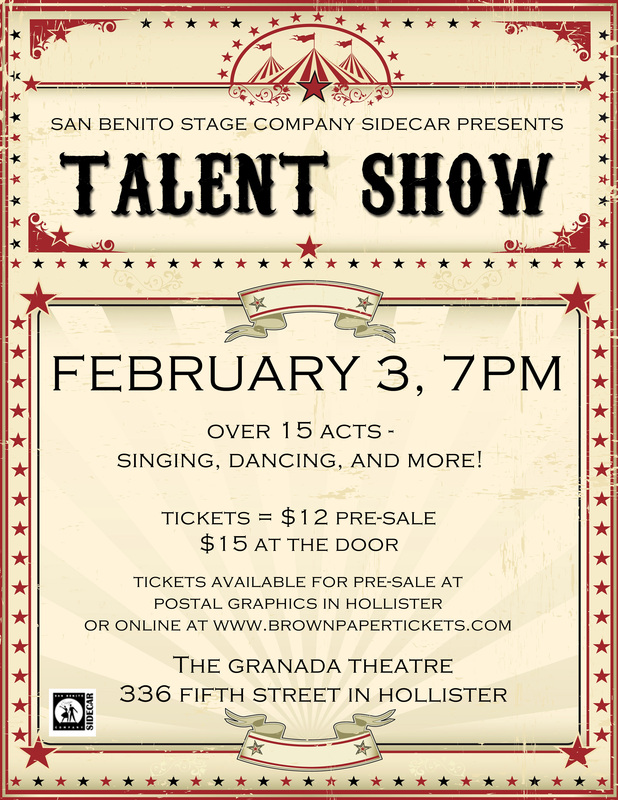 Talent Show played at The Granada Theatre from Feb. 3, 2018 to Feb. 3, 2018. The first San Benito Stage Company Talent show is on! On February 3 @ 7 PM at the Granada Theater. Tickets are $12 in advance and $15 at the Door.